By Tina Van Horn, Reliv Product Marketing Specialist, originally published on Reliv International Blog. 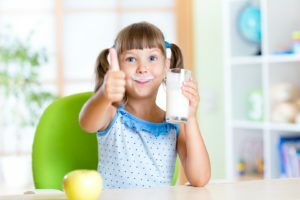 We are facing a battle – 41% of Australian Children’s daily food intake is made up of “discretionary foods”; that is foods and drinks that do not fit into the Five Food Groups because they are not necessary for a healthy diet. The influence of the processed food industry is one of the contributing factors to the obesity epidemic. Obesity rates in children and adults have tripled in the last 30 years, with obesity now being the number one health concern of parents, surpassing smoking and drug abuse. One solution to overcome the dietary imbalances that accompany today’s fast-food culture is nutritional supplementation. Reliv’s nutritional formulas, like Reliv Nourish™ and Reliv Nourish™ for Kids, contain micronutrients and protein to fill nutrition gaps and meet the needs of growing bodies. These exclusive formulas also contain advanced ingredients to boost energy and support immunity, and Reliv Nourish™ for Kids contains omega 3 fatty acids for cognitive performance. and recreation that young people need for proper energy balance and physical development. According to a recent study, published in Pediatrics, less than 8% of adolescents are getting the recommended 60 minutes of moderate activity daily. It’s easy to pretend these problems don’t exist and pass off anxiety as a normal part of growing up. However, it’s important to recognize that 13- 20% of kids between the ages of 8 and 15 have a diagnosable mental or behavioral disorder like ADHD, anxiety or depression. While many of these children are being treated with prescription therapies and counseling, the impact of nutrition is often overlooked. The first place that micronutrient deficiencies are likely to show up, especially in young people, are in mood and behavior disorders. There is also no shortage of evidence that ties proper nutrition to cognitive function and academic success. A recent study found that children in Year 5 at school who ate the most fast food had lower test score improvements in reading, math and science by Year 8. Posted in Health and tagged Children, health, Kids, nourish.